Airports are relatively easy to navigate since personnel are usually bilingual and signs are written in both English and Portuguese. Both travelers and visitors are allowed to enter freely. At some airports, international passengers must pay fees, so it is advisable to have a little cash (either Reais or dollars) handy. 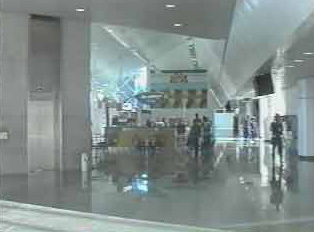 Depending on the airport, passengers either board at the gate, ride a shuttle, or walk out on the tarmac to the plane. At international arrivals, luggage is carefully checked. If an undeclared item is found, the tax plus a fine will be required. On a domestic flight, the passenger does not need a passport, but a valid photo ID. Small luggage may be taken on the plane. Traveling to and from the airports is relatively easy via buses, taxis and cars. Public transportation is advisable unless one is willing to pay high airport parking fees.